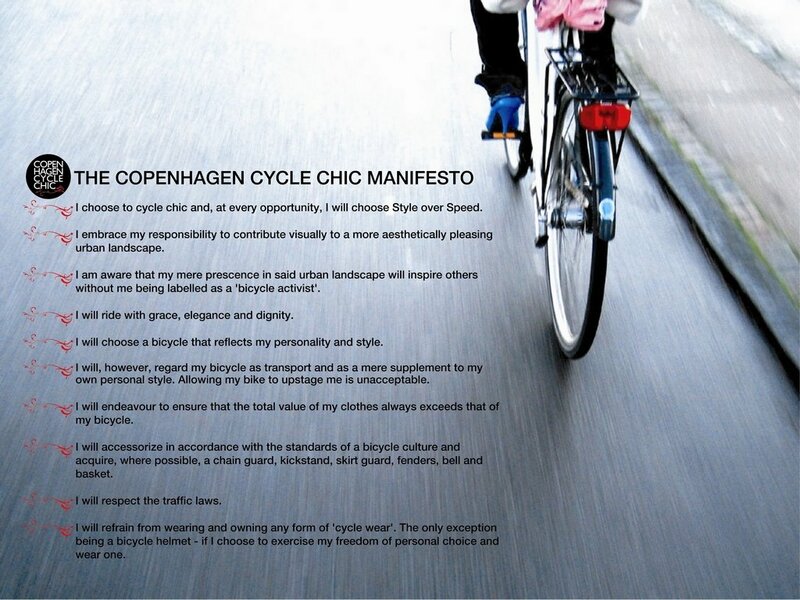 With a hint of seriousness, a splash of poetry and a dash of playfulness, the manifesto guides our cycling decisions. That last point there is a point of controversy in the cycling world (whether or not to wear a helmet). Some research and arguments from both sides, to help you make your own decision. But hey. My style is the one I have chosen. I respect yours too. We respect your style too – we cyclists are all in this together! We like that the manifesto’s a refreshing way to think of cycling part of a lifestyle, not just recreation or sport. Not that we always stick to these doggedly, but it definitely puts cycling in a different light. Thanks for stopping by! Ok, I understand to each there own. That being said the manifesto is ridiculous. But at least it included following traffic laws and wearing a helmet if one sees fit. But hey…maybe it’s not about the bike? So exactly what’s ridiculous about the manifesto if you don’t mind elaborating?